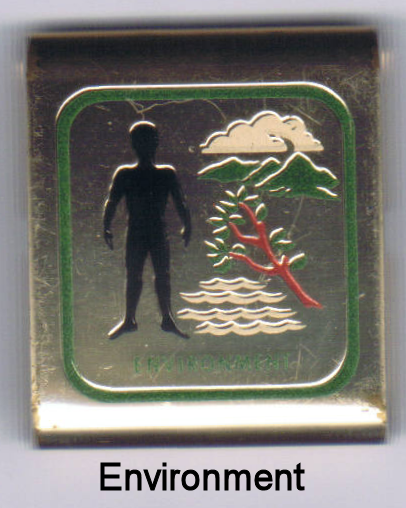 The Swimming Skill Award of the 1970’s and 1980’s is another one of the awards in which the requirements were taken and used in the current ranks of Tenderfoot, Second Class, and First Class. This skill award was not a mandatory award needed to earn the First Class rank back then. 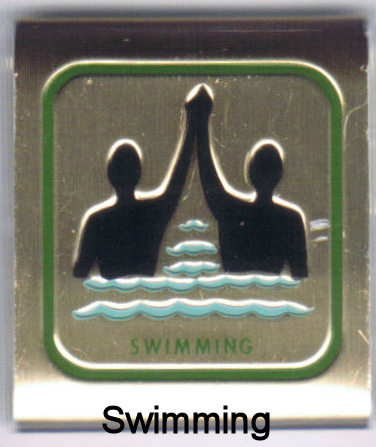 However, there was a swimming requirement for the rank of First Class which is similar to the current beginners swim test under the Safe Swim Defense. 1) a. Tell what must be done for a safe swim with your patrol, troop, family, or other group. b. Tell the reasons for the buddy system. 2) Jump feet first into water over your head. Swim 100 m (or 100 yd) with at least one change of direction. For the first 75 m (or yd) use any stroke. For the last 25 m (or yd) use the elementary backstroke. Right after the swim, stay in the water and float for a minute with as little moment as possible. c. Describe going with support. And this concludes this series of posts about the Boy Scouts of America’s skill award program. I hope you enjoyed it. Earlier this year I was posting the requirements for the old BSA Skill Awards. I recently remembered that I have only posted about ten of the twelve awards. So, I thought I better get the last two posted so that all twelve are listed. 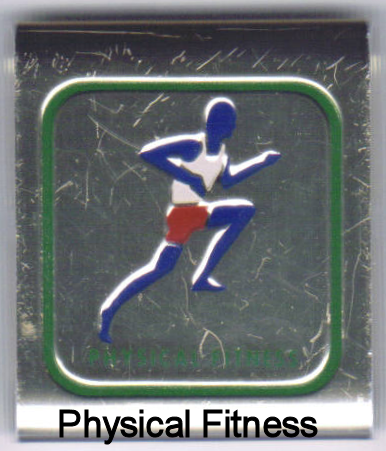 The Physical Fitness Skill Award was not a required award to earn the Tenderfoot, Second Class, or First Class ranks during the 1970’s and 1980’s. It was one that could be used as an optional. Eight skills awards were needed to earn the First Class Rank, five of which were required (Citizenship, Hiking, First Aid, Camping, and Cooking.) The requirements for the Physical Fitness Skill Awards have become various requirements in the current Boy Scout ranks from Tenderfoot to First Class. 1) a. Show that within the past year you have had a health examination by a doctor licensed to practice medicine. If the doctor told you some things to do, tell what you are doing about one of them. b. Show that you have had a dental examination within the past year. push-ups, pull-ups, sit-ups, standing long jump, run-walk. b. Set goals to do better. c. Keep a record of how you are doing for 30 days. 3) a. List the four groups of basic foods needed in the daily diet of a boy your age. b. Tell how this diet helps your body. 4) a. Satisfy your adult leader that you have good daily health habits. b. Tell how the use of tobacco, alcohol, and drugs can hurt your health. I find it interesting how these fitness requirements were optional a few decades ago but are now a mandatory part of every Boy Scout’s advancement program. I will never forget the Hiking Skill Award. “Why?” you ask. 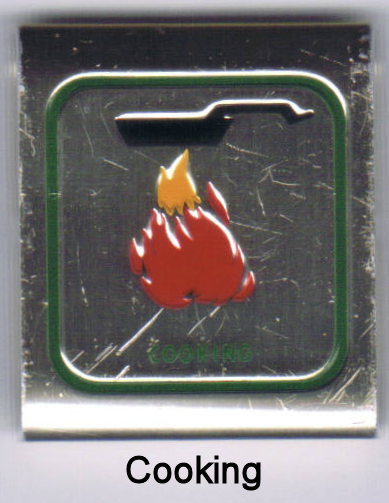 Because back in the 1980’s, while on an overnighter at a local state park, I decided to take the troop on a five mile hike to complete a requirement for this skill award. And we got lost. The five mile hike turned into an eight mile hike. Luckily, we found someone to drive us back to our campsite. It was not a high point for a young scoutmaster. I guess you could say I learned a few things myself from that particular hike. a. Cross country, day and night. b. Along a highway, day and night. 2) a. Tell how to keep from getting lost. b. Tell what to do if you are lost. 3) a. On a map, point out 10 different symbols, including contour lines. Tell what they represent. c. Point out on a map where you are. 4) a. Show how a compass works. b. Give its eight principle points. 5) a. Show how to use a compass and a map together. b. Using a compass and a map together, follow a route you marked on the map far enough to show you know how. 6) Take a hike in the field. a. Before leaving, have your plan approved by your leader, including purpose, route, and clothing. b. Take a five mile hike with your troop, patrol, or two or more other Scouts. Wear the right clothing. Take the right equipment. Follow good hike rules. 7) Take a hike in your town. b. Take a five mile hike in a place of interest outside your neighborhood with your troop, patrol, an adult, or two or more other Scouts. Wear the right clothing. Take the right equipment. Follow good hike rules. c. After you get back, tell what you did and learned. 1) a. Explain what first aid is. Tell how to act in case of an accident. b. The dangers of moving a badly injured person. c. Tell the best way to get medical help quickly. Show that you keep the names, addresses, and phone numbers for mediacl help were you can find them quickly. 2) a. Show how to treat shock. b. Show what to do for “hurry cases” of serious bleeding, stopped breathing, interna; poisoning, heart attack. 3) Show first aid for the following cases: burns and scalds, blisters on feet, bites or stings of insects, chiggers, ticks, bites of snakes and mammals, skin poisoning, sprained ankle, object in eye, nosebleed. 4) Explain first aid for puncture wounds from splinter, nails, or fishhook. 5) Use a bandage to hold a dressing in place on the head, hand, knee, and foot. 6) Make an arm sling. 7) Tell the five most common signs of a heart attack. Tell what action you should take. 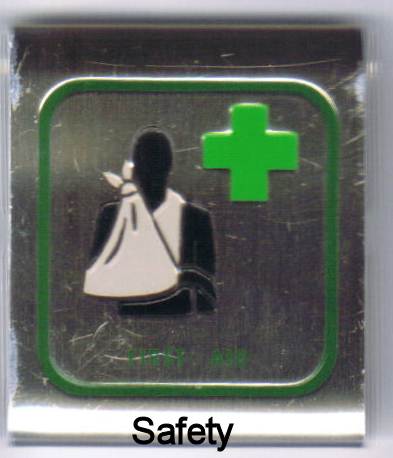 By the way, depending on when you earned the skill award, you may have gotten a belt loop with a red cross or a green cross. 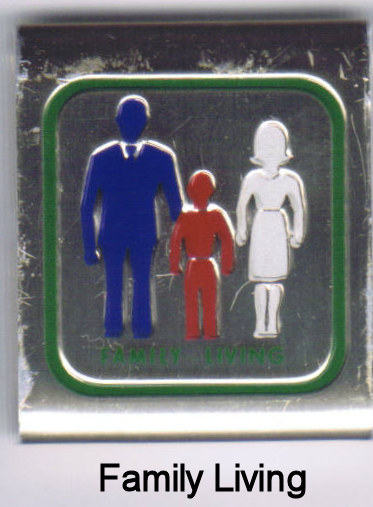 Before there was a Family Life merit badge there was the Family Living Skill Award. 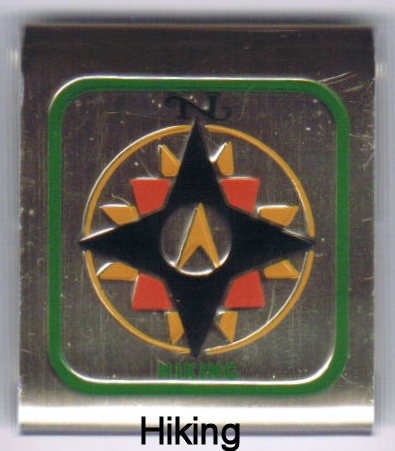 This skill award was not required for any of the ranks but could be used as an optional for Tenderfoot, Second Class, or First Class in the 1970’s through the 1980’s. Here are the requirements. 1) Tell what is meant by family, duty to family, and family council. 2) a. Make a chart listing the jobs you and family members have at home. b. Talk with your family about other jobs you may take on for the next two months. a. Inspect your home and grounds. List any danger or lack of security seen. Tell how you corrected one. b. Explain why garbage and trash must be disposed of properly. c. Look after younger children for three hours. Use good health and safety practices. d. List some things for which your family spends money. Tell how you can help your family in money matters. e. Tell about what your family does for fun. Make a list of fun things your family might do at little cost. Do one of these with a member of your family. f. Carry out a family energy saving fun. 4) Explain how you can get help quickly for these problems: medical, police, fire, utility, housing, serious family problem. Post a list of these directions in your home. I find it interesting that even back in 1972, the year the skill awards where introduced to the Boy Scout advancement program, that energy conservation was a part of the program. Requirement number 4 would be pretty easy now. Just call 911 for most of those problems listed. Only four skill awards are left First Aid, Hiking, Physical Fitness, and Swimming). Are you enjoying this review of the belt loops, or would you rather I move on to other things? 1) a. Tell what is meant by environment. b. Describe how plant life, animal life, and environment relate to each other. c. Explain the oxygen cycle. d. Explain the water cycle. 2) Tell how sun, air, water, soil, minerals, plants, and animals produce food used by man. 3) a. Make a three hour exploration of a forest, field, park, wetland, lake shore, ocean shore, or desert. Make a list of plant and animal life you recognize. b. In the outdoors, spot and name ten wild animals by site or sign (mammals, birds, fish, reptiles, mollusks). c. In the outdoors, spot and name ten wild plants. d. Know how to identify poison ivy, poison oak, and poison sumac. a. Study a plot of ground, ten square feet. Report on the plants and animals you find. b. Make a closed terrarium that includes animals, OR make an aquarium that includes both plants and animals. c. Keep a daily weather record for at least two weeks. Tell how weather affects the environment. 5) Display at least six newspaper or magazine clippings on environment problems. I can not help but think how easy it would be to compete that last requirement with all the oil leaking into the Gulf of Mexico at the moment, and all the talk about global warming. 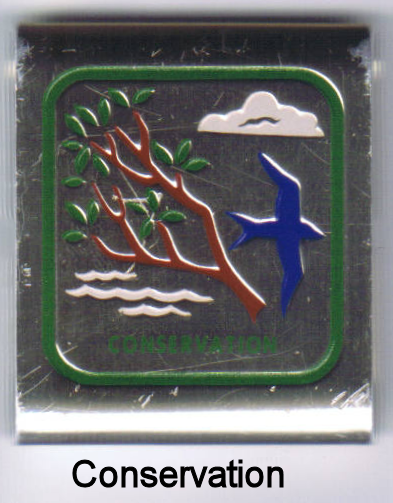 Does conservation come to mind when you think about Boy Scouting? It probably does to most people. Conservation has been a part of the Boy Scout program since its beginning in 1910, one hundred years ago. What we think about conservation has changed somewhat as a society and Scouting has been right there to lead the way among our youth. 1) Show by what you do that you follow the Outdoor Code when you are in the outdoors. 2) a. Explain the main causes and effects of water pollution. Tell how we can have clean water. b. Explain the main causes and effects of air pollution. Tell how we can have clean air. 3) a. Make a list of present major sources of energy and the major alternate sources. b. Make a list of ten ways in which you and your family can save energy. 4) a. Take a walk around where you live for two hours and make two lists related to conservation. List things that please you. List things that you feel should be improved. b. Plan and carry out your own conservation project. Get it approved by your patrol leader before you start. a. Clean up a roadside, picnic ground, vacant lot, stream, lake shore, or ocean beach. b. Work on erosion control of a stream bank, gully, or trail. c. Plant trees, do forest improvement, or insect control. d. Improve backyard or other wildlife habitat. e. Help with energy conservation. This was a great skill for teaching conservation. It would have been nice to see more of it kept when the advancement program changed.